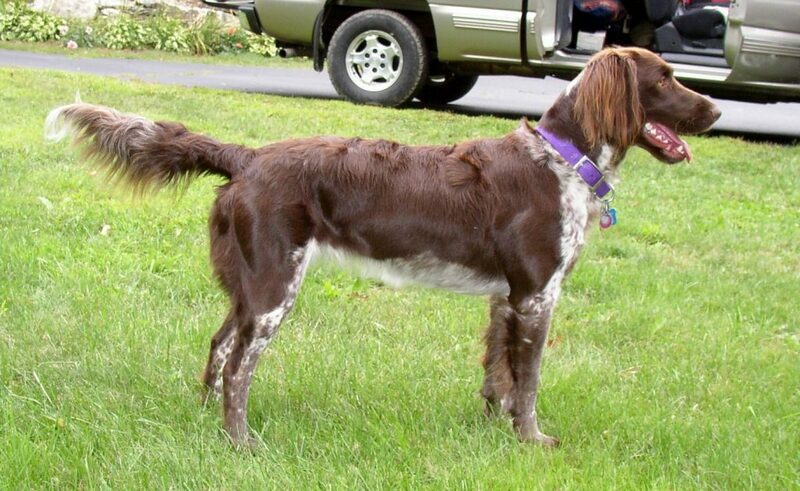 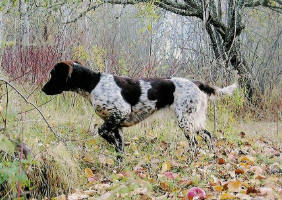 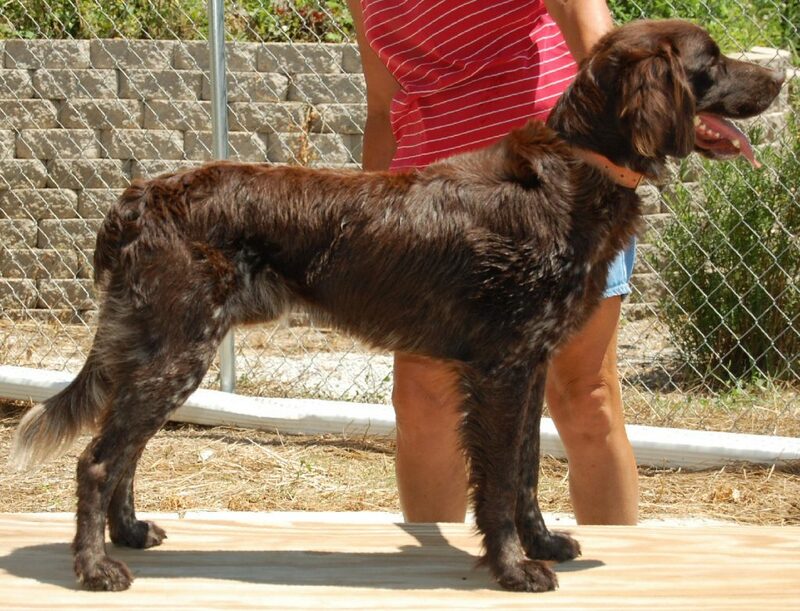 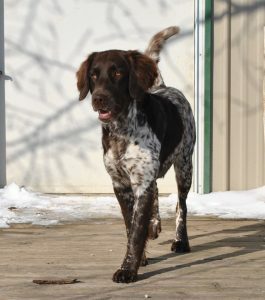 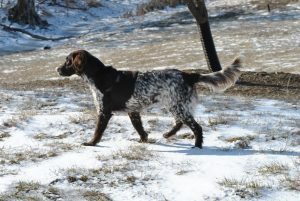 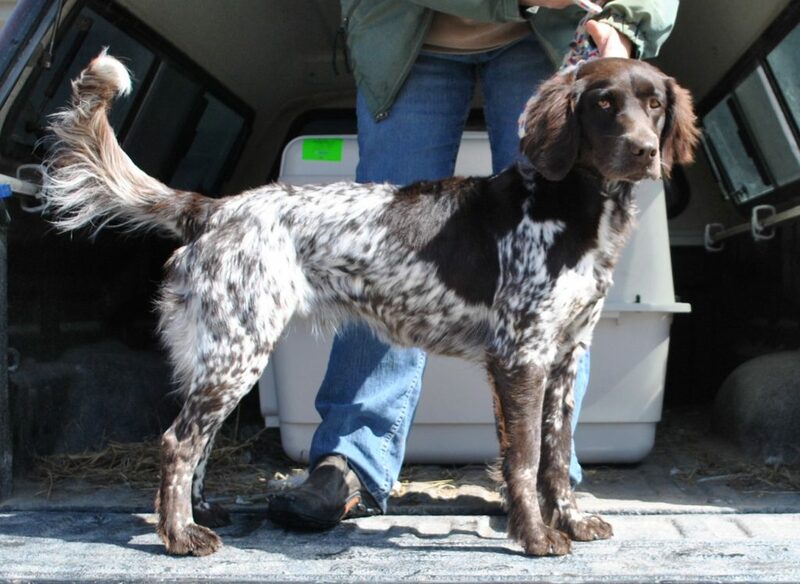 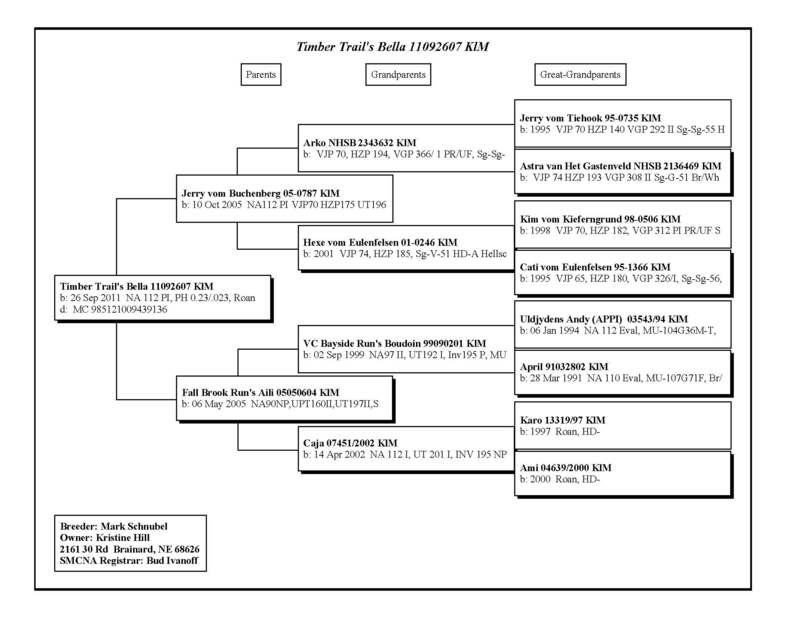 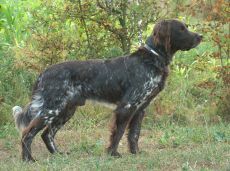 Timber Trail’s Bella is from a SMCNA & NAVHDA NA Breeders Award Litter. 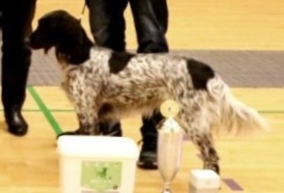 She earned a maximum score of 112 Pr I. Bella has a very staunch point and backs intensely. 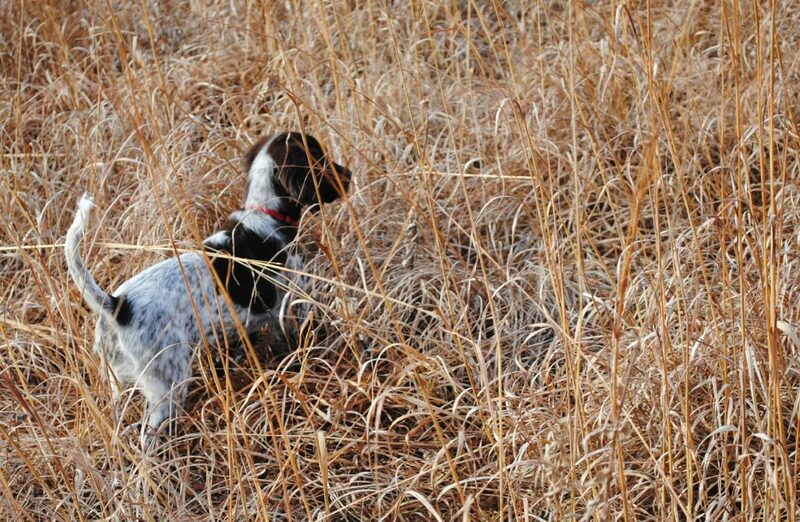 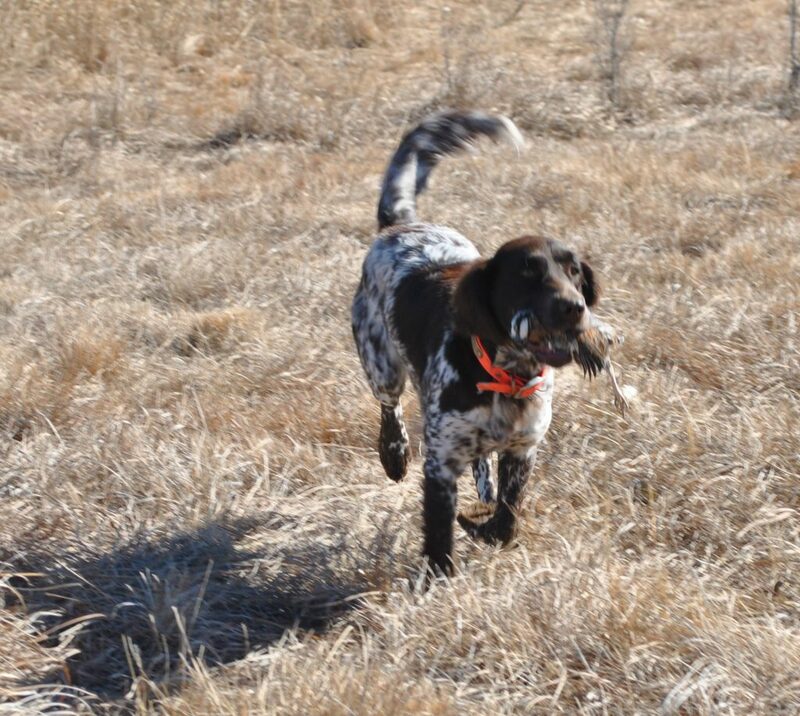 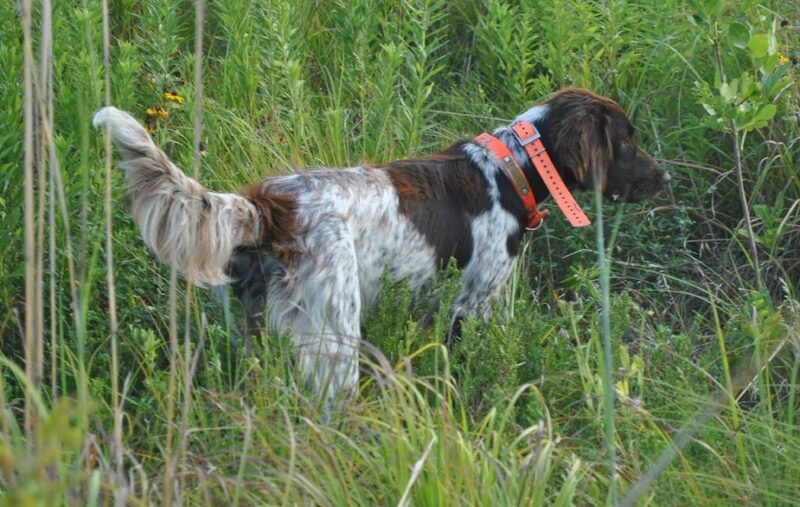 Bella’s strong desire for finding wild birds makes her fun to hunt. 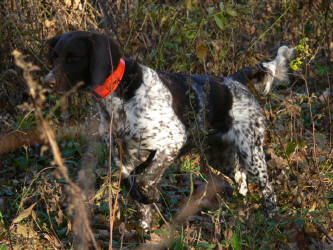 Timber Trail’s Bella has a very staunch point and backs intensely. 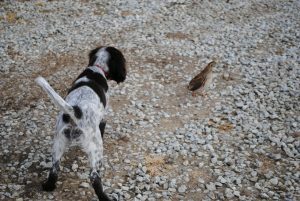 Bella’s strong desire for finding wild birds makes her fun to hunt. 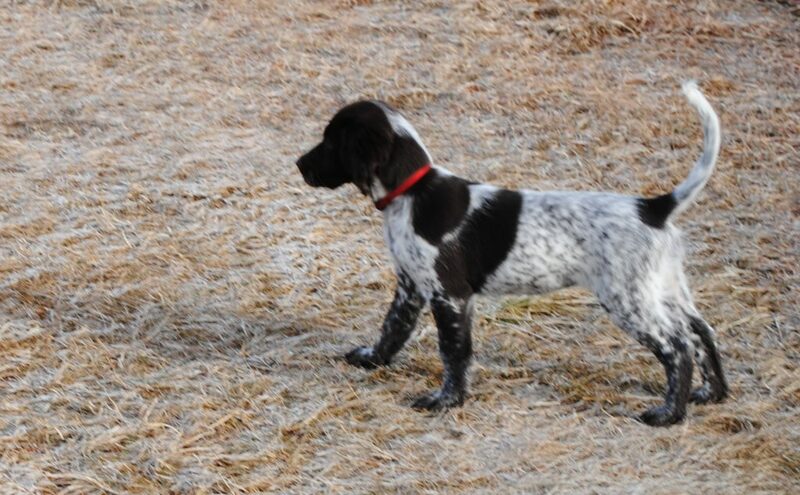 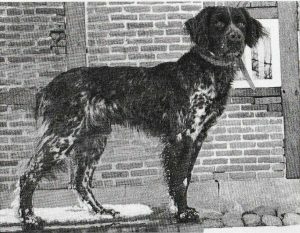 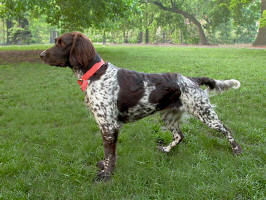 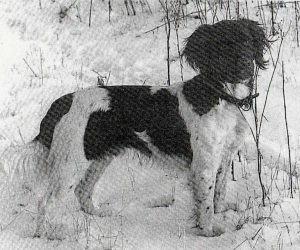 We are breeders of the Small (Kleine) Munsterlander - a wonderful, versatile hunting dog. 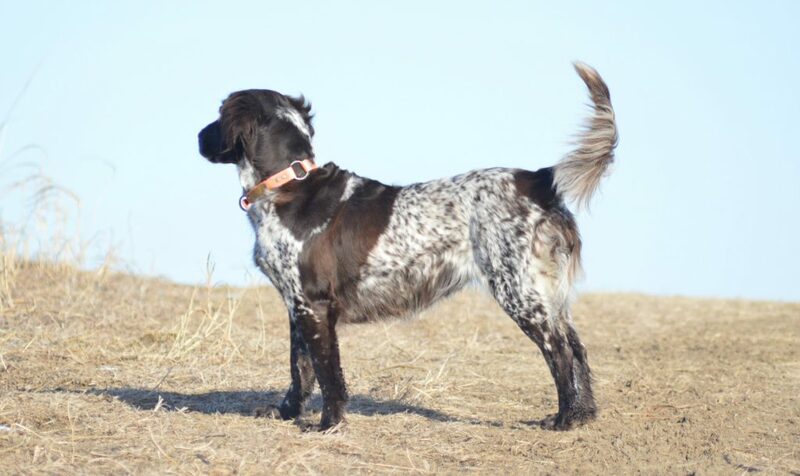 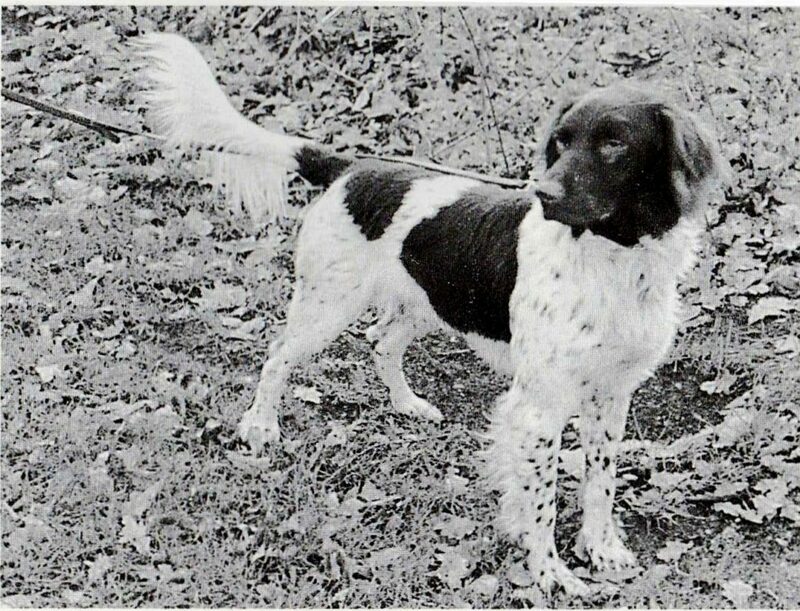 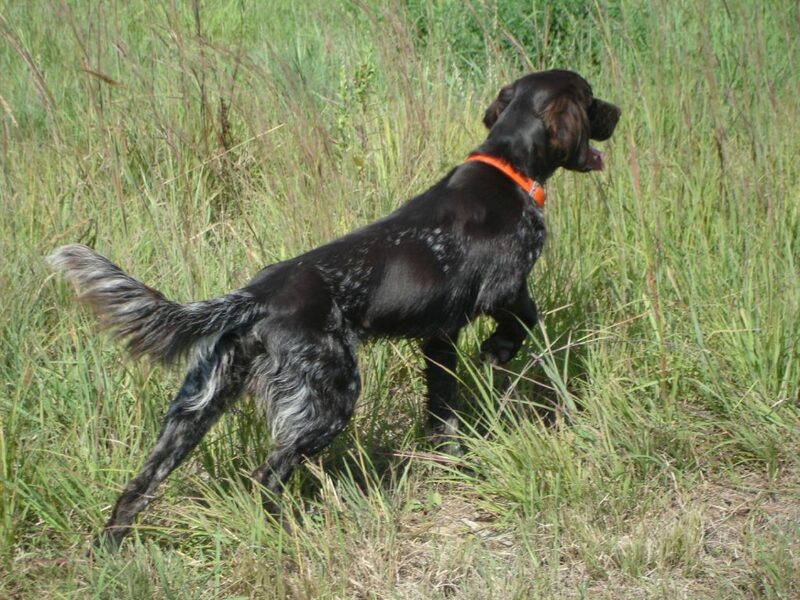 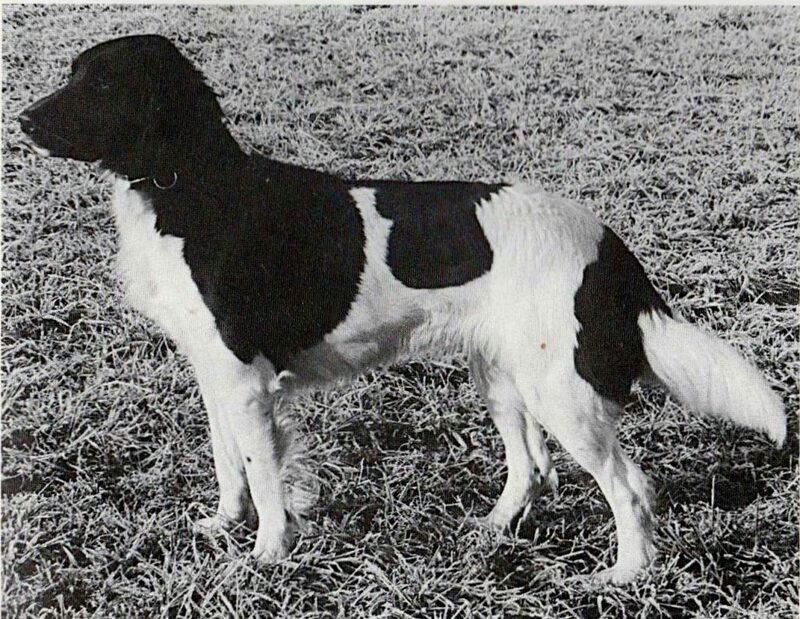 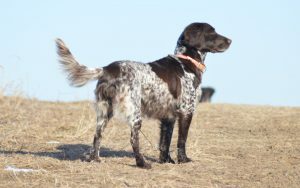 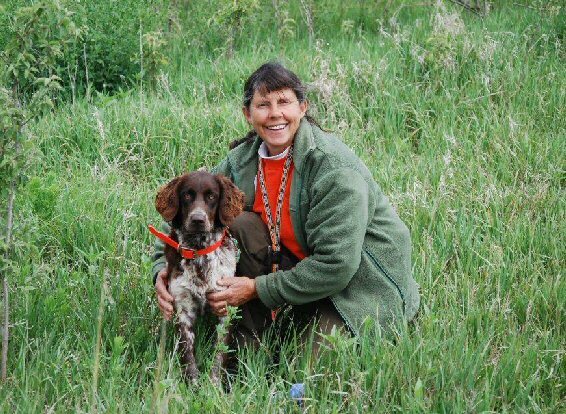 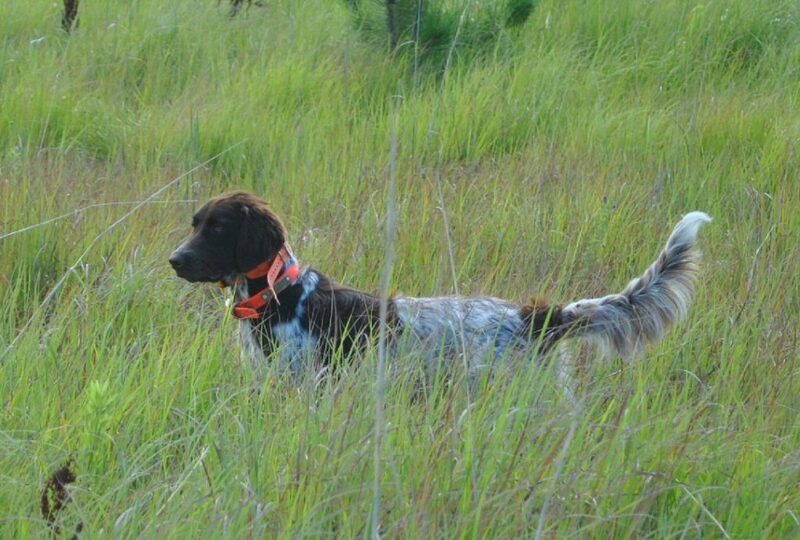 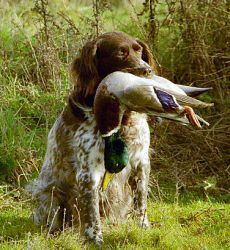 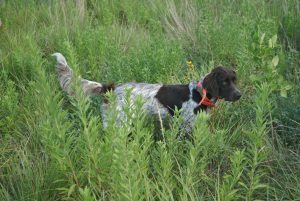 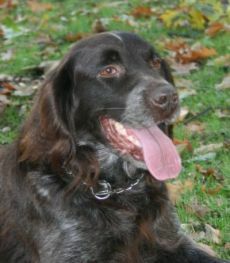 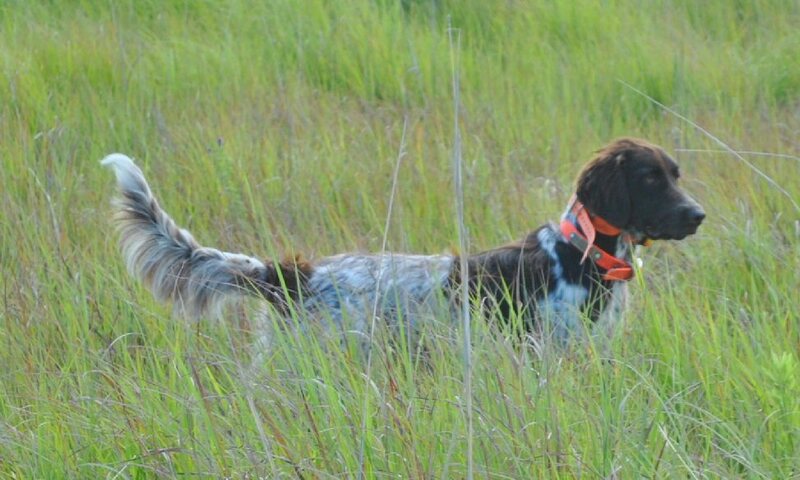 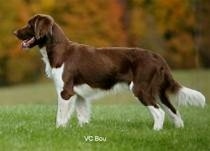 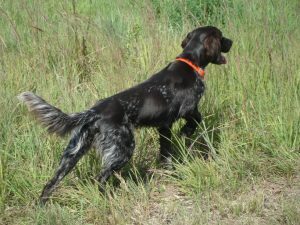 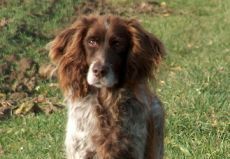 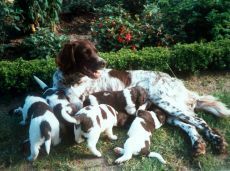 Hunting Hills Kennel was established in 1995 with the purchase of Darby vom Kreiger (OFA excellent, NA Prize II & UT Prize I). We have trained, tested and bred Small Munsterlanders born in the US and imported from Germany and Denmark. 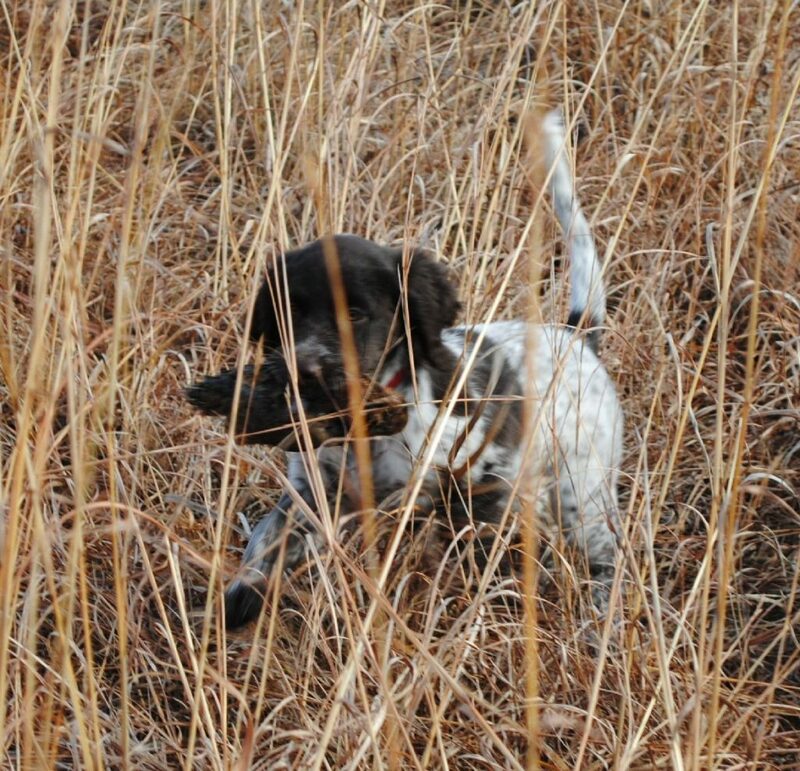 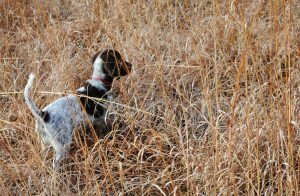 Our goal is to breed healthy stable Small Munsterlanders that will mature into effective versatile hunting partners and family members.